2950 North Main St Ext Street Jamestown, NY. | MLS# 1039752 | Chautauqua Lake Real Estate. Specializing Chautauqua Lake helping Buyers and Sellers since 1985. Great commercial property with unlimited possibilities. Excellent location with a high traffic count. Former site of Harley Davidson of Jamestown and now Reids Powersports. 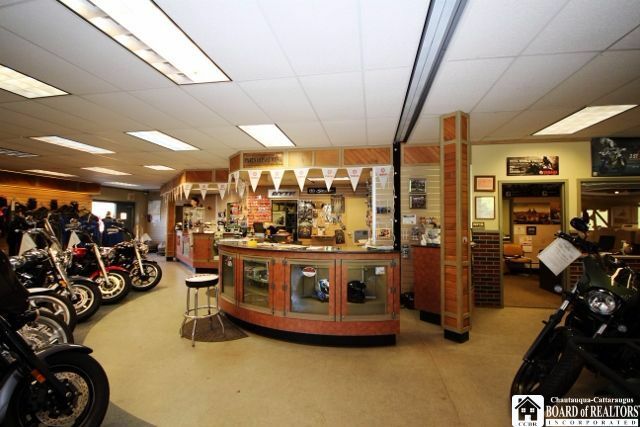 This well maintained building would lend itself to many different types of businesses. Let this excellent property help grow your business.